This was like three minutes after finishing. I put warm clothes on right quick! 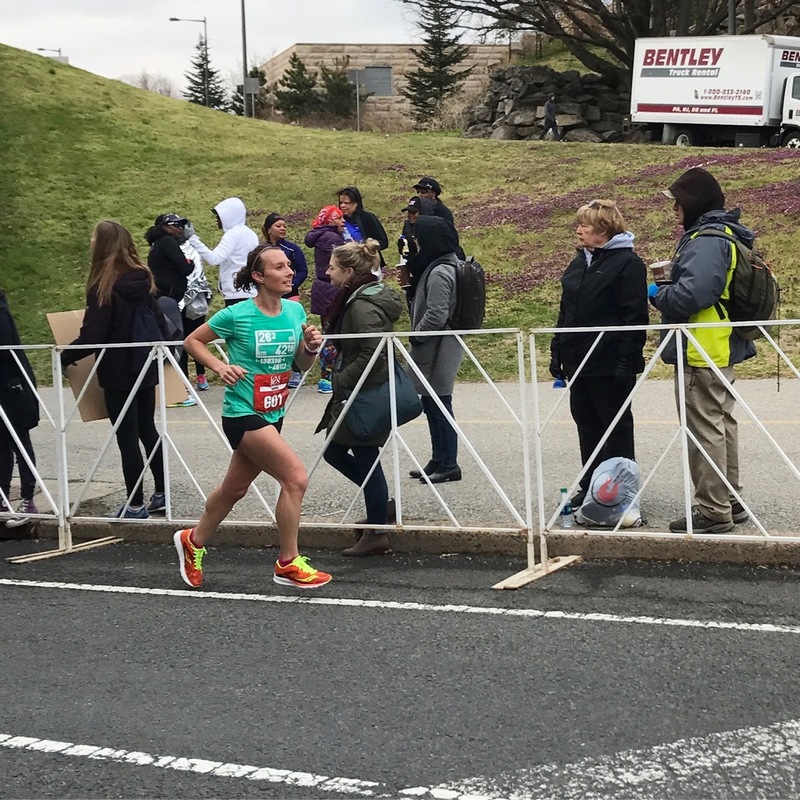 The last three races I was supposed to run in Philly were all DNSed the morning of—the 2015 Broad Street Run and the 2016 Philadelphia Marathon _and_ Half Marathon. But my Philly DNS streak is over! Yesterday, I did _not_ DNS. I actually ran a race! 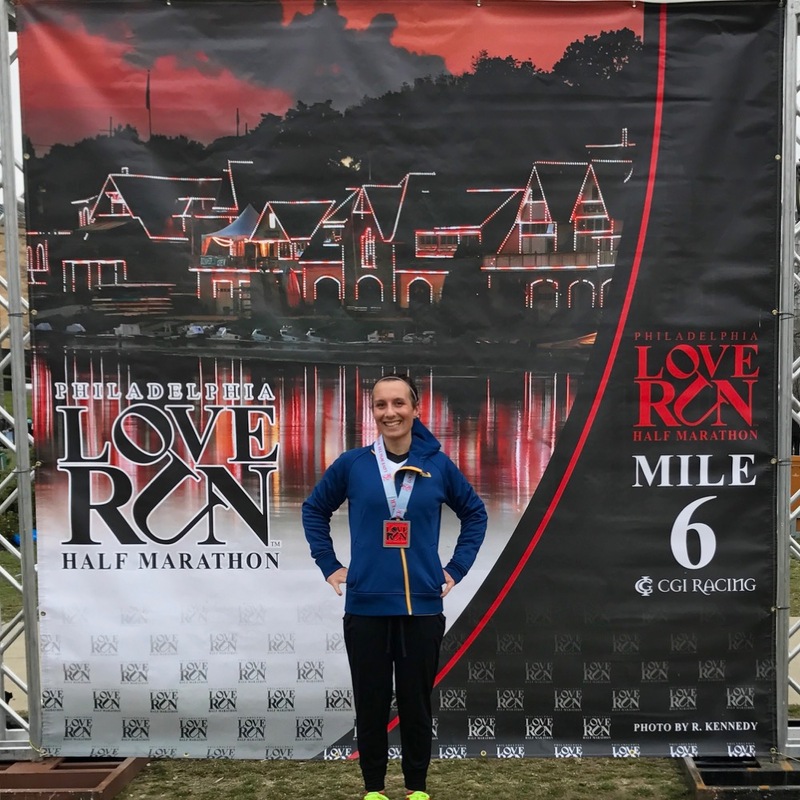 It was my first race in Philly since the 2011 Philadelphia Marathon. 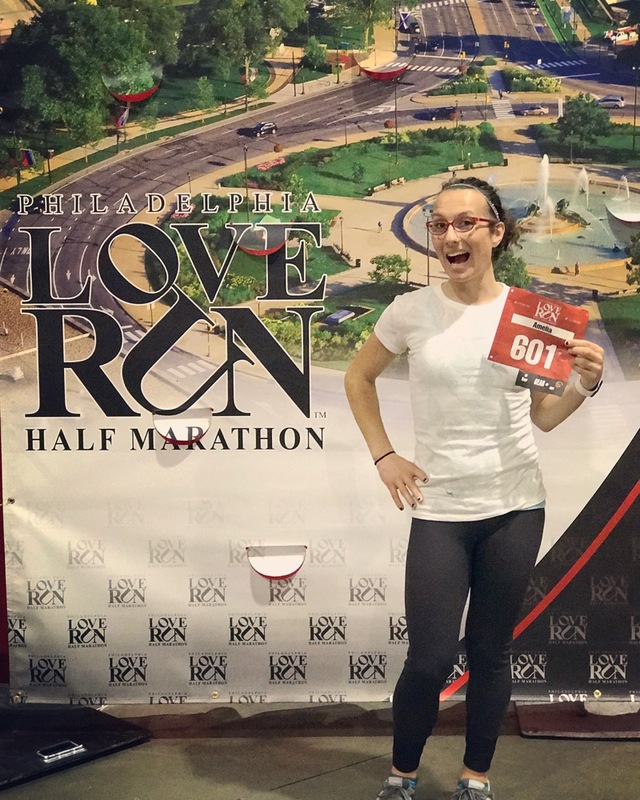 The Philly LOVE Run first of five half marathons I’m running this spring. Yes, I’m running five half marathons this spring. I’m currently training for Grandma’s Marathon and, for this training cycle, I decided to do something different for my long runs. 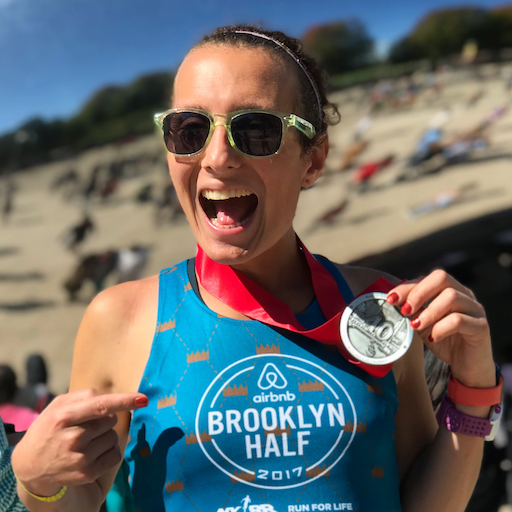 I wanted to change things up a bit and, instead of doing all my long runs along my normal route, earn a few new race medals in the half marathon. This also goes along with my biggest running goal of 2017, running more races and focusing less on PRs. We drove down to Philly on Saturday and went right to the expo at the Convention Center. CGI Racing expos aren’t particularly huge, but they are well-organized and stress-free. I had my bib, race shirt, and mug without waiting in a single line for anything. After a quick lap, we were out! We hung around the city for a couple hours and got drinks at Brü Craft & Wurst, a great craft beer and wurst bar we happened to stumble upon. After that, it was dinner and ice cream with our friend Hollie. Hollie was also nice enough to let us crash at her house the night before which helped make it a cheap weekend with few worries! 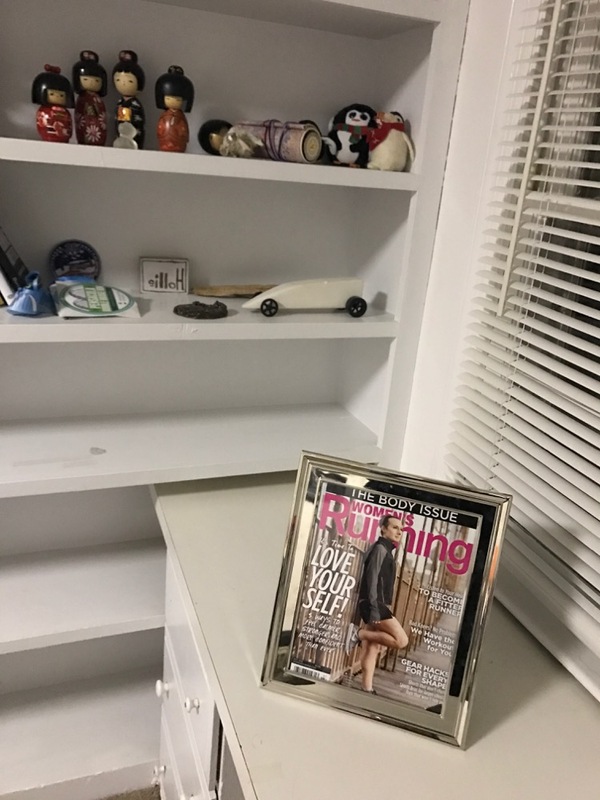 Of course, Hollie is one of the silliest people I know and when I walked into the bedroom, there was a framed copy of my magazine staring at me. Awkward! After some foam rolling, it was off to bed before 10pm. I made Hollie take a picture with it and own it! I got up at 5:15, got dressed, and hopped in the car. It was a 20 minute drive from Hollie’s to where we parked in Fairmount Park, about a mile from the start. I had 15 miles on the schedule for the day so I needed a couple warmup miles before the race. I gave a quick goodbye to the wife and took off for a mile down Ben Franklin Parkway and a mile back. I finished with just enough time to hit a porta-potty and sprint to my starting corral. The forecast had some light rain in it for race morning, but luckily it held out and race start was 44º with 10mph winds and overcast. Great racing conditions! The race started on time with a nice bit of energy. I was in the first corral and lined up between the 1:30 and 1:35 pacers. I wasn’t trying for a big PR or anything so I knew I wasn’t going to be trying to hang with either of those pace groups, but I felt confident with my placement being reasonable enough anyway. Through the first mile, I hung tight with most of the runners around me and clocked a 7:19 first mile. Oops! Definitely much faster than the 8:00 I was thinking I should have been running. I tried to pull back slightly, but mostly just went with it. If I had stuck with that pace, I’d have had a massive PR, but I knew that wasn’t realistic as I’m not exactly in my best shape right now. As we were heading around City Hall, Twitter friend Megan came up from behind to introduce herself. 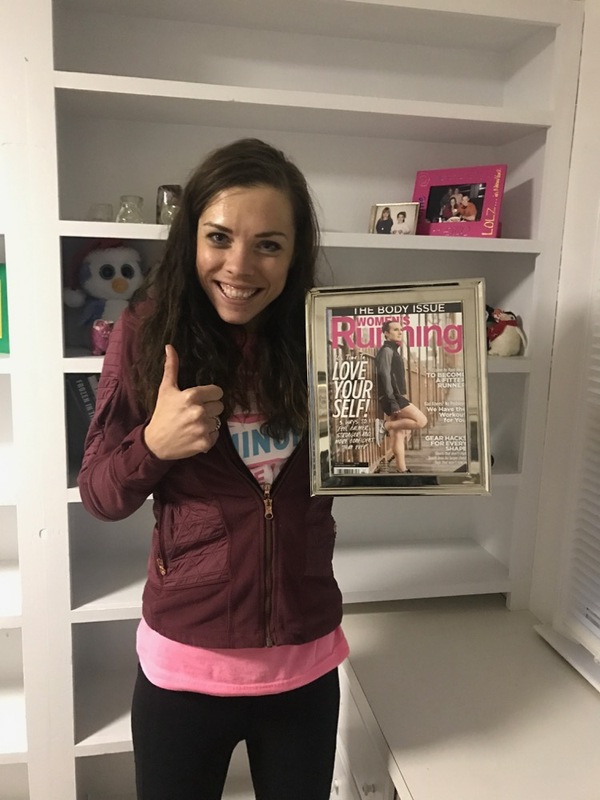 She’s just a few months postpartum, but was looking to run a 1:39. We ran together for a bit with some light conversation before I dropped back. Again, this was really just a training run so I knew it was time to get things under control. Unfortunately, mile 2 totally threw both my Garmin and Apple Watch off so I didn’t have accurate splits at all to compare to how my legs were feeling. It was back to doing mental math based on the clocks at each mile marker—which, luckily, each mile had—just like the old days! After looping our way back onto the Parkway and to pass through the start/finish area, I started keeping my eyes open for the wife. She said she’d be around mile 4—we had discussed her being around The Oval, which is roughly mile 4.25. It was a good thing I was looking, though, because she was right at mile 4, ahead of where I was expecting her. We waved and I tossed my arm warmers at her. Things were quiet for a while after that. We rounded The Oval and made our way down MLK Drive and into Fairmount Park where the crowds were mostly non-existent. I was feeling tired, definitely not how I wanted to be feeling to a training run, but it was very par for the course with my running lately. I wasn’t too worried about slowing down if I needed to, my most important thing was not wanting to leave myself too sore or tired to continue my training this week. As we approached mile 7, I started watching for the lead runners to be coming down the back portion of the out and back. I was able to see the first three men before we veered off MLK Drive and up an onramp at mile 7.5. This is where things got tough, the next half mile was climbing uphill. It was not fun! We don’t really have hills in Jersey City so my hill game is way off these days. The climbing felt like forever, but things leveled off exactly at the 8th mile marker. A guy who had been running near me for a while told me I was helping motivate him and keep him steady here. I was glad to make myself useful! After some quick looping, we came back down the same hills and I flew. My legs were tired, but gravity, yo. I got a side-stitch halfway down this section, but I was able to work it out pretty quickly. Before I knew it, we were at the last turn around—mile 9.75ish—and I knew it was a straight shot back to the Art Museum and finish from there. I was feeling tired, but at this point I wanted to keep it steady to the finish. I had been mostly in the 7:30-7:45 range for my splits, except for hillsville mile 8. Coming down this last 5k, a man and woman whom I had passed in the downhill section and who were standing next to me in the corral passed me. I wanted to use them as my rabbit for the rest of the race, but I didn’t want to push myself more than I had been. I kept it close, but didn’t increase my effort level any. As I crossed mile 11, I started getting a little nauseous so I eased back a little for a couple minutes until that subsided. Once I passed mile 12, I started using the Art Museum as my beacon for the finish. I was ready to be done, but I decided not to push or kick at all to the finish. It wasn’t a goal race and I wasn’t in it for a PR. I did some math at the mile marker and knew I’d be close to my PR, but I thought I was roughly 30 seconds off. Looking strong at the end! As I approached the last curve, I spotted the wife and cruised my way to the to the finish line. My mental math was close, but slightly off and it turned out I was only 7 seconds off my PR! If I had known I was that close in the last couple of miles, I would have kicked a little harder. Oh well! I’m not even the slightest bit disappointed, though. Again, this wasn’t a goal race and I was supposed to be running much slower. I was pretty happy. After the finish, the woman (of the man and woman combo mentioned above) congratulated me and we chatted a little. She snagged a PR! I ended up finding her on Instagram later in the day and we chatted a bit. After talking to her, the guy from mile 8 came up to tell me he PRed and I was helping keep him going all race! In the past, I’ve always hated knowing people were using me to run faster or hold steady, but I was actually pretty psyched about this. I was really happy for him! After grabbing my medal and some water, I met up with the wife and we walked over to the Whole Foods near the finish to grab some groceries and coffee. A man in the produce section commented on my medal and we talked about races in the city for a few minutes. And then the cashier also struck up a conversation with me about the race. SO MUCH LOVE IN PHILLY THIS WEEKEND! This was a great weekend in Philly and I was really happy with the race! CGI Racing puts on great races that are organized and fun without being massively huge and overwhelming. My performance was much better than I expected. I’ve been in a bit of a running rut lately, but to get so close to my PR without putting in a race effort was a nice boost. I had a big burger and greasy fries the night before and didn’t do anything to prepare for this as a race. And I went at about 90-95% of a half marathon race effort. So it was nice to find out I still have a lot of the strength I’ve been struggling to find lately. Lastly, I felt like this run helped me really start to hammer home some of what I’ve been working on in PT lately. I’m a very quad-dominant runner. My quads and calves do all the work and everything else is just along for the ride so I’ve been trying to work on engaging my glutes, hamstrings, and core while running. It seems I’m finally starting to get this as I could feel them working all race. And I could feel the work being spread from just my quads to the rest of my legs as well. I still have some work to do, but this felt like a major contributor to running so well without pushing my effort level.